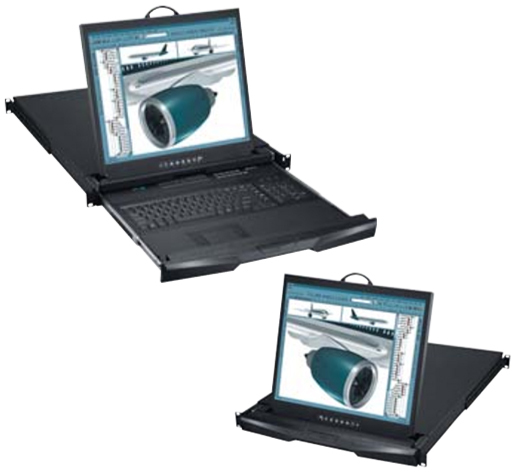 The H119 is a 1U 19" High Brighness rackmount LCD monitor drawer. CyberView provides a cost effective rackmount monitor solution for your limited IT budget in a space saving, highly customizable package. Single Console 1.73 x 17.4 x 20.5 in.